We provide the only domestic violence shelter in Cobb County. We are the only sexual assault program serving Cobb, Cherokee and Paulding Counties. Other services include individual and group counseling, assistance in obtaining Temporary Protective Orders, transitional housing, outreach advocacy and community education. All of our services are provided to victims at no cost. 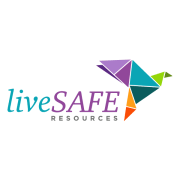 Would you recommend liveSAFE Resources? Loved volunteering here so much for three years that I changed careers to work here full time!